Camping under the starry night is always an amazing experience, here we are with top places for night & desert camp in Rajasthan where one can enjoy lots of outdoor activities on sand dunes and have memorable camping experience. Staying in camp under the starry night is always a dream vacation for me and when it comes to Rajasthan the beautiful sand dunes, camel safari, delicious food and smiling faces make the desert camping experience more enjoyable. Here I am with Top Places for desert camp in Rajasthan which one has to visit once in their lifetime for ultimate desert camping experience. Jodhpur also known as the "Sun City" of Rajasthan is one of the best Places for desert camp in Rajasthan. It is the second largest city of Rajasthan, a popular tourist destination famous for its forts, temples and amazing landscape of the Thar Desert. Jodhpur enjoys bright, sunny weather throughout the year which make it an ideal desert camping destination. There are lots of camping options in Jodhpur from luxury ones to budgeted. Some of the famous Desert Camps in Jodhpur are mentioned below. Best time to visit Jodhpur for Desert camping- The ideal time to visit Jaisalmer for desert camping is between September to March when it is not too warm and one can enjoy lots of activities. Activities at Desert camps Jodhpur- Jodhpur desert camps offer luxury and comfortable stay with wide range of activities for their guest like sand dunes camel safari, village safari, Sunrise View, folk dances and music shows, bonfire with delicious Rajasthani cuisine and lots more. There are lots of tourist places in Jodhpur Umaid Bhawan Palace, Mehrangarh Fort, Chamunda Devi Temple, Ossian and Mandore where tourists can visit and explore the wilderness of the Thar Desert at its best. Jaisalmer known as the Golden City of Rajasthan because of its golden yellow sand and the yellow sandstone used in the architecture of the city is located in the heart of the Thar Desert (the Great Indian Desert). Because of its perfect location desert camping in Jaisalmer is an ideal destination to explore Indian desert life, culture, wildlife and landscape of breath-taking beauty. There are lots of camping options in Jaisalmer. 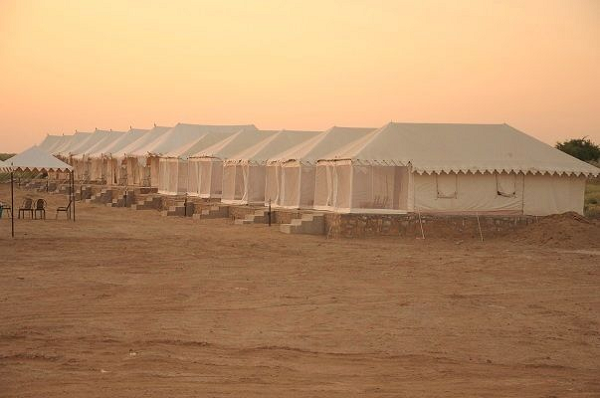 Some of the best Desert Camps in Jaisalmer are mentioned below for unmatched desert camping experience. Best time to visit Jaisalmer for Desert camping- Winter season from November to March is the best time to visit Jaisalmer and enjoy outdoor activities. Activities at Desert camps Jaisalmer – Desert camps offer many outdoor activities like camel ride, desert safari, Quad Bike at Dunes, Paragliding at Sam, Romantic candle dinner, bonfire cultural nights, puppet show and with many more fun activities. Guests can enjoy delicious Rajasthani cuisine and get familiar with rich culture and heritage of the Rajasthan. There are lots of places to visit in Jaisalmer like Jaisalmer Fort, Bada Bagh, Sam Sand Dunes, The Thar Heritage Museum, Gadisar Lake, Desert Nation Park, Silk Route Art Gallery and lots of beautiful places where tourists can visit and explore the Jaisalmer at its best. Another option for desert camp in Rajasthan is Pushkar. Pushkar, the town of fairs and festivities is one of the oldest cities in India. It is only city of India where Lord Brahma temple can be found which is one of its kinds. Pushkar is also known as 'the rose garden of Rajasthan' as the roses from here is exported all over the world. 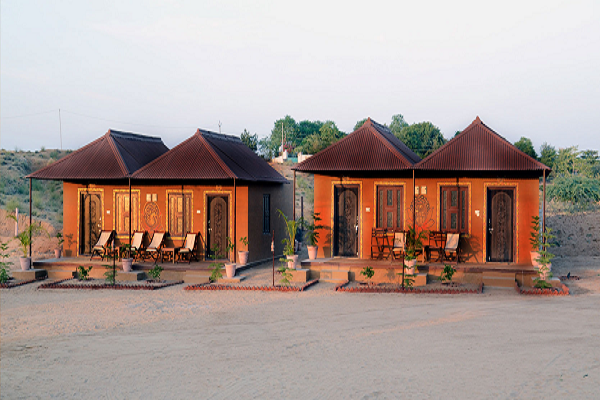 There are lots of accommodation options in Pushkar but the desert camps are the best to stay. 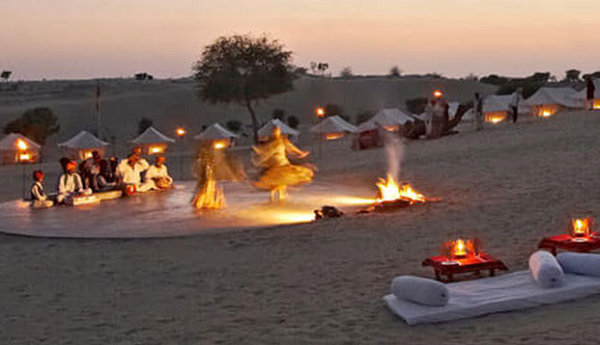 Some of the best Desert Camps in Pushkar are mentioned below for memorable desert camping experience. One can also enjoy Pushkar Camel Fair from 08th November-15th November, 2016 to experience the ultimate desert camping experience. Best time to visit Pushkar for Desert camping- October to February is the best time to visit Pushkar especially in November to enjoy very famous Pushkar Camel Fair. 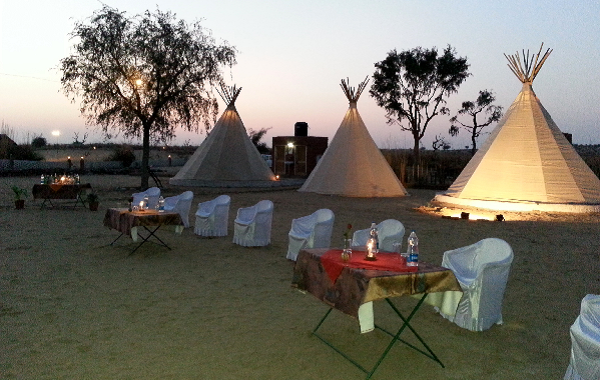 Activities at Desert camps Pushkar – One can enjoy lots of outdoor activities while camping at Pushkar. There are lots of temples to visit at Pushkar some of the best are Brahmaji Temple, Pushkar fair ground, Varaha temple, Pushkar Lake, Vishnu temple, Savitri Mandir, Panch Kund Shiv temple, Dargah Sharif of Ajmer. Bikaner also known as "Camel country" because of the biggest camel reproduction farms in Asia is one of the best Places for desert camp in Rajasthan. Bikaner is world famous for its Bikaneri namkeens and it is the 4th biggest town of Rajasthan. Bikaner gets very hot during summer but winters are pleasant here. Tourist can enjoy lots of outdoor activities at Bikaner camps. There are lots of camping options in Bikaner. Some of the famous Desert Camps in Bikaner are mentioned below where one can visit for ultimate camping experience in Rajasthan. Best time to visit Bikaner for Desert camping- The ideal time to visit Bikaner for camping is between October to March when the weather is pleasant as compare to rest of the year. Activities at Desert camps Bikaner- There are lots of activities that tourist can enjoy while staying at Bikaner camps such as village safari, camel safari on sand dunes, bonfire with authentic Bikaneri cuisine, cultural evenings, jeep safari and lots more. Some of the beautiful places to visit in Bikaner are Junagarh Fort, National Research Centre on Camel, Rampuria Haveli, Laxmi Niwas Palace, Karni Mata Temple, Jain Temple Bhandasar, Gajner palace and lake and Gajner wildlife sanctuary. Thanks to share it. It's great, There are lots of camping options..